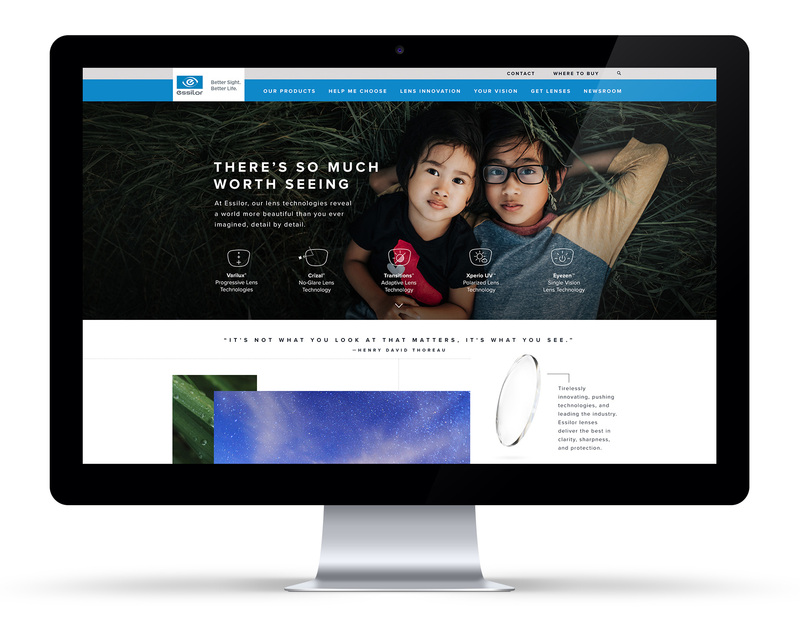 How do you establish Essilor as a master brand for the first time, and position its premium brands as the reason to believe, with the promise that better sight leads to a better life? By marrying the emotional and functional benefits of Essilor through the idea that "So much of life is worth seeing, enjoy the details", we were able to deliver not only an educational experience but beautiful one. The use of point-of-view lifestyle imagery allowed a user to share in the experience of beauty and clarity that the product brings. In addition, the 5 brands had custom product imagery created to deliver on idea of premium and importance of detail.